Funny, when I was a child, drawing a tree, I liked to anchor my picture with a strong thick trunk supporting a bushy ball of green tree canopy. I did not draw branches, limbs or twigs. I see trees differently now. I am fascinated by muscular branches, the more horizontal the more remarkable. I look for branches that have been damaged but have new growth launched just prior to the die-back. I look for signs of how the tree was pruned, especially trees near power lines, where I marvel at the persistence of the tree to “lift its arms to pray.” I think the winter months are the best time to notice and appreciate our naked trees’ skeletons. Promise yourself a walk around the neighborhood comparing and contrasting the form of interesting trees, especially the mature oaks. 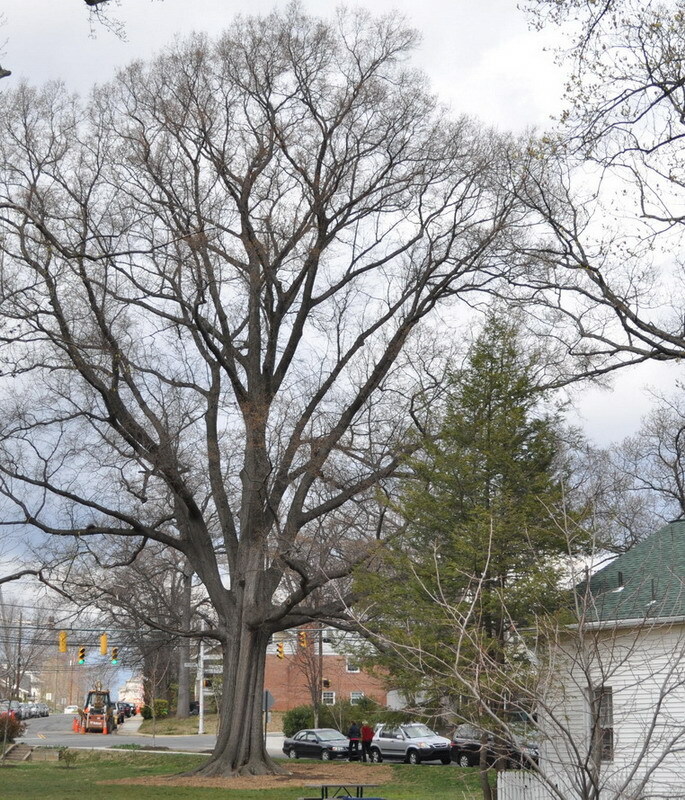 The Notable Tree Program began in 1987 to identify and register Arlington’s outstanding trees. Trees are an important component of Arlington’s “green infrastructure” and help make Arlington a livable community. Mature trees not only beautify our neighborhoods, they also provide environmental and economic benefits such as helping to clean our air, reducing storm water run-off, and cooling our urban environment. Trees help to reduce the urban heat associated with pavement and dense development, and they also reduce summer cooling costs by shading our homes. The Notable Tree Program is a way to recognize and thank residents who maintain and preserve exceptionally significant trees. Since the program began, over 400 trees have been nominated for notable status and over 150 are currently on Arlington’s Notable Tree list. This entry was posted in Education and tagged notable trees. Bookmark the permalink.